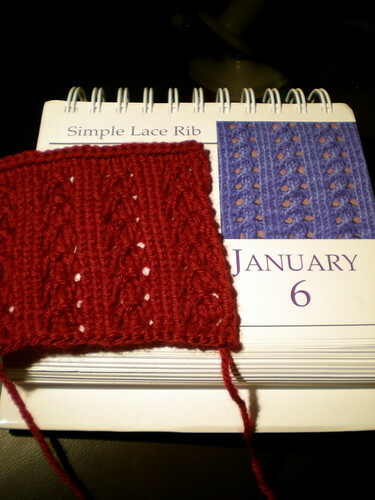 Six days in, and I've managed to start and finish each swatch on the day, which is longer than I thought I'd last. It's fun though, and I'm learning lots about how stitch patterns affect gauge. I'm also learning that the occasional twisted knit stitch is okay, but twisted purls are the devil's work.